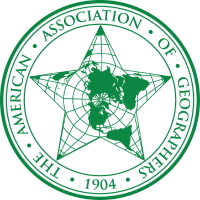 Geothink once again has a strong presence at the American Association of Geographers (AAG) Annual Meeting, this time to be held in Boston, Massachusetts, USA. Make sure not to miss two very special sessions: The Dark Side of Open Data Part One and Part Two, organized by our very own Geothink co-applicants. See below for a compiled list of Geothink co-applicant and student presentations, discussions, and panel appearances. You can also search the programme here. Remember to tweet at us (@geothinkca) and use #geothink and #AAG2017 conference tags. Pamela Robinson, Peter Johnson, and Teresa Scassa are organizers. Peter Johnson is chairing the session. 14:00 Jon Corbett and Shelley Cook explain How open is your redlining policy? Exploring geospatial data sharing tools to improve homeless service provision in British Columbia, Canada. Pamela Robinson, Peter Johnson, and Teresa Scassa are organizers. Renee Sieber is chairing the session. 15:00 Peter Johnson presents on Municipal Open Data: A Slow Death? 16:00 Pamela Robinson presents Unlocking the Civic Potential of Open Data: Whose job is it? 4469 Symposium on Human Dynamics in Smart and Connected Communities: Whither ‘human dynamics’ within geography? This entry was posted in Conferences and tagged AAG on March 30, 2017 by Geothink.